This blog was a PR 4/10 before October 5th. It went down to PR 3/10 after October 5th. So, let’s compare October 3rd and October 10th traffic. I pick Wednesday traffic as it is usually the peak. I lost 26% in my traffic after getting a PR demotion from PR 4 to PR 3. Note that I have no brains with figures and numbers. I am totally bad with analysis and anything to do with numbers. I failed my maths all the time. But I saw this pattern because I was doing the Argus Alpha tester volunteering. So, I decide to do a bit of comparison. Now, let’s see what being a PR 3 compared to a PR 2 means. Further drop in Google organic searches. This time, it is another big cut. Depressing? Not really. But worrying, a little bit. Then again, I have seen my site dropped to the second page from the #1 position for the keyword make money and then, bounced back to page one again. So, I believe if we have good contents, we will somehow crawl back to our position because if our site is good, we will survive. because I was such a rebellious kid and now, I am an obnoxious blogger. But remember not to commit a blog suicide and load your blog with paid posts just because you failed to please Google. Just keep focusing on why you blog, i.e. to provide good contents while making some money. Don’t let the little green bar intimidate you. Think pink. :P (the 5xmom’s style of pink) If people like your blogs, it doesn’t matter what PR you have. Moreover, I am confident all the middlemen companies like PPP, TLA, SR, RM, Linkworth and etc will soon dissed big G and opt for other measurements. In fact, I was told that SR is now using Yahoo, Linkworth never use Google but have their own linkrank, PPP is coming up with Argus and it’s own analytics and I bet TLA and RM (same company) will think differently too. So, why sweat over PR even if our income once relies on it? PR 3 is the new black. Muahahar..
you’ve got the point there lilian. I am sure all the other middlemen are already thinking of ways to work around Big G, else they will close shop soon. I hate to be the one saying this but is there yet another (second!!) PR drop in your 5xmom.com ?? OMFG.. you are at PR 2 now! The ramblings of My Life, Friends, Activity, Tips, Money, Work and hobbies! 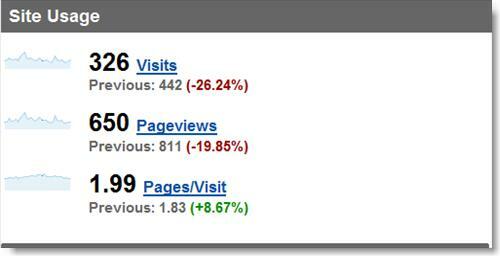 » Blog Archive » Page Rank Nightmare ?? Luckily I am survive from the PR update this time. I guess most probably I didn’t do payperpost writing. I was read somewhere that big G doesn’t like people join the article writing and get paid program.